Instructions: My card size is 5 x 7". Make card base and cover with a piece of yellow cardstock. Using white cardstock, cut out the lacy frame and glue down onto card front. Using the Rectangle and Basics die cut out two rectangles and then cut out a card front using the Cut, Mat, Create die. Glue these pieces together and use the dimensional tape to adhere to the card front. Cut out a sentiment from the paper collection and using Danube Blue Ink distress the edges and then use dimensional tape to adhere to card front. Using black ink, stamp the bridge, bench, flower pot, watering can and the little bird. Cut these out using coordinating dies and then color using various inks and the blender tools. I curled the bridge a bit and glued it down. Stamp the flower petals with Magenta Hue and the leaves with Stazon Olive Green ink and cut out using coordinating dies. Color the leaves and set aside. 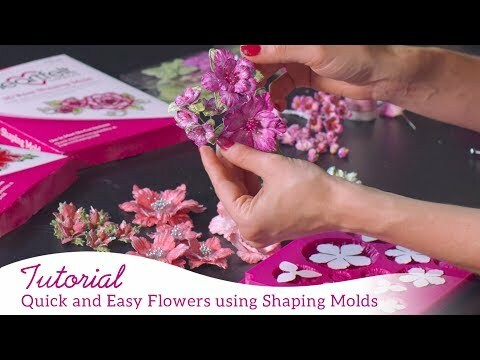 Layer the leaves, flower petals and the little birds into the 3D mold and spritz with water. Run through the vagabond machine and lay out to dry. Now work on the Prills. I wanted a shade of yellow I didn't have in my stash so I decided to color some white ones I had using the Dandelion ink. I used these for the centers of the flowers. Add Glitter to the flowers and the little bird and set aside to dry. I used dimensional tape to adhere the park bench and watering can. Decide on the placement for the little bird and the flowers and glue them down.